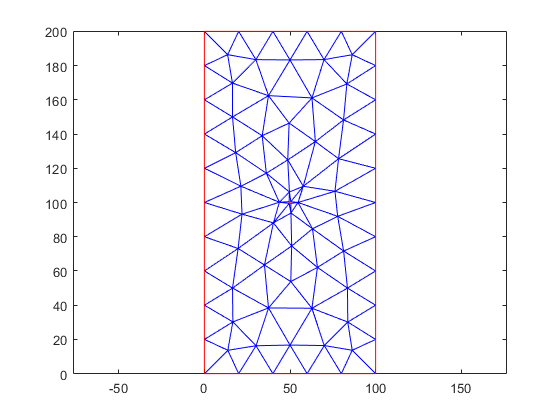 Q = meshQuality(mesh) returns a row vector of numbers from 0 through 1 representing shape quality of all elements of the mesh. Here, 1 corresponds to the optimal shape of the element. 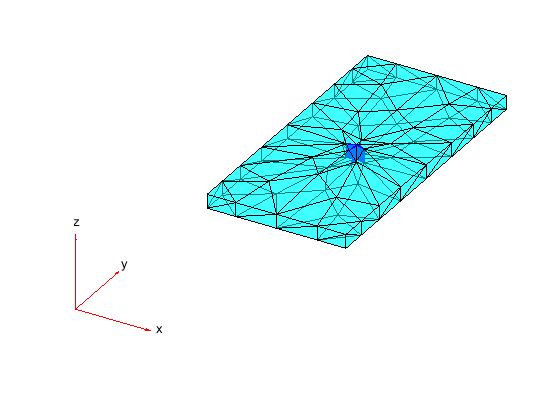 Q = meshQuality(mesh,elemIDs) returns the shape quality of the specified elements. Q = meshQuality(___,'aspect-ratio') determines the shape quality by using the ratio of minimal to maximal dimensions of an element. The quality values are numbers from 0 through 1, where 1 corresponds to the optimal shape of the element. Specify 'aspect-ratio' after any of the previous syntaxes. Evaluate the shape quality of the elements of a 3-D mesh. 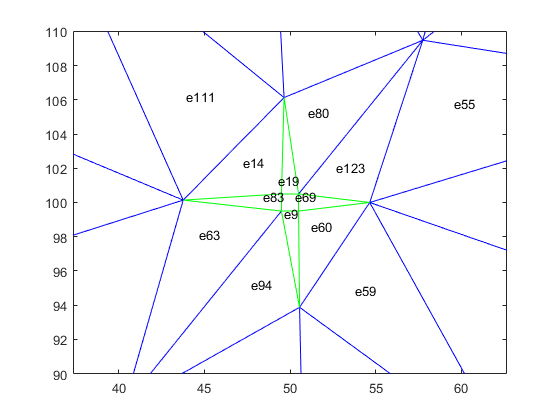 Include and plot the following geometry. 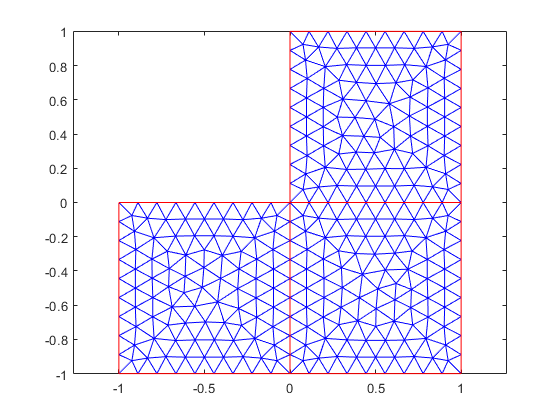 Create and plot a coarse mesh. Evaluate the shape quality of all mesh elements. Display the first five values. Find the elements with the quality values less than 0.2. Highlight these elements in blue on the mesh plot. 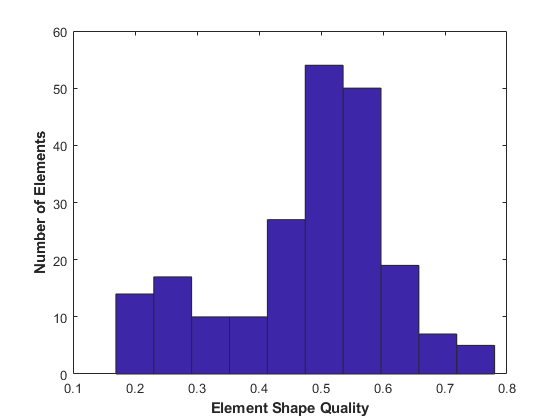 Plot the element quality in a histogram. Find the worst quality value. Find the corresponding element IDs. Evaluate the shape quality of the elements of a 2-D mesh. Find the IDs of the elements within a box enclosing the center of the plate. Evaluate the shape quality of these elements. Find the elements with the quality values less than 0.4. Highlight these elements in green on the mesh plot. Zoom in to see the details. Determine the shape quality of mesh elements by using the ratios of minimal to maximal dimensions. 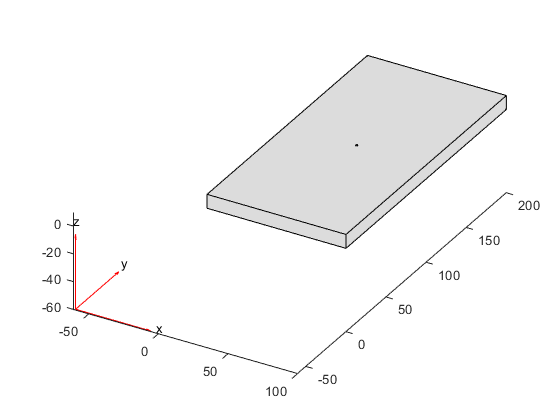 Create a PDE model and include the L-shaped geometry. Generate the default mesh for the geometry. Evaluate the shape quality of mesh elements by using the minimal to maximal dimensions ratio. Display the first five values. Evaluate the shape quality of mesh elements by using the default setting. Display the first five values. Shape quality of mesh elements, returned as a row vector of numbers from 0 through 1. The value 0 corresponds to a deflated element with zero area or volume. 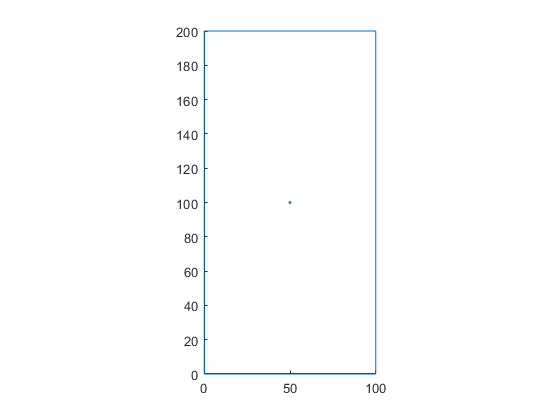 The value 1 corresponds to an element of optimal shape. Knupp, Patrick M. "Matrix Norms & the Condition Number: A General Framework to Improve Mesh Quality via Node-Movement." In Proceedings, 8th International Meshing Roundtable. Lake Tahoe, CA, October 1999: 13-22.